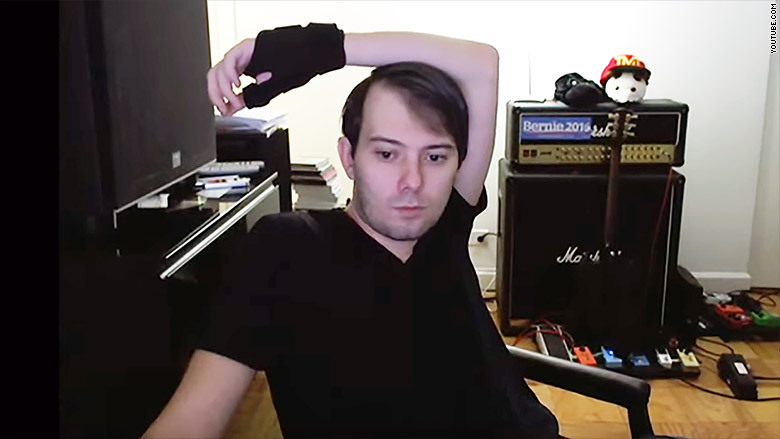 Martin Shkreli continues to livestream as he awaits his criminal trial. At least he's keeping busy? Martin Shkreli, the disgraced pharmaceutical CEO who hiked the price of an AIDS drug by 5,000%, has some time to kill these days. He's been indicted on securities fraud charges and is now awaiting trial. Meanwhile he's unemployed, since he's either been forced to resign or been fired by three different companies. To pass the time he's started live-streaming his life on YouTube. In the videos, Shkreli plays guitar, browses the web, plays chess, lies in bed and reviews chemistry. Many of the videos go for large stretches without any sound. His YouTube channel has more than 115 videos on it with page views that range from 199 to more than 175,000. His first entry was streamed live on November 4 and has more than 5,000 views. Shkreli was arrested in December and then released after he used a $45 million E*Trade account to post bail. He and a co-conspirator allegedly cheated a company he founded, Retrophin, out of millions of dollars. Retrophin fired Shkreli more than a year ago, and is also suing him for $65 million in damages. After his arrest, Shkreli subsequently stepped down as CEO of Turing -- the company that raised the price of its AIDS drug and thrust Shkreli into the spotlight. Shkreli's most recent foray into pharmaceuticals was with KaloBios Pharmaceuticals. He was fired after briefly leading the company, which filed for bankruptcy in December. Shkreli had been set to appear in court on Wednesday, but it was rescheduled for February 3. His attorneys asked to delay the hearing because Shkreli wants to hire new lawyers to represent him.